Towards the end of March we were lulled into a false security with some wonderful weather and just as we were considering putting away the winter wardrobe we were stopped in our tracks by a cold snap, along with April showers. So at the gallery, in a move to counteract the drop in temperature, we have done some re-hanging. 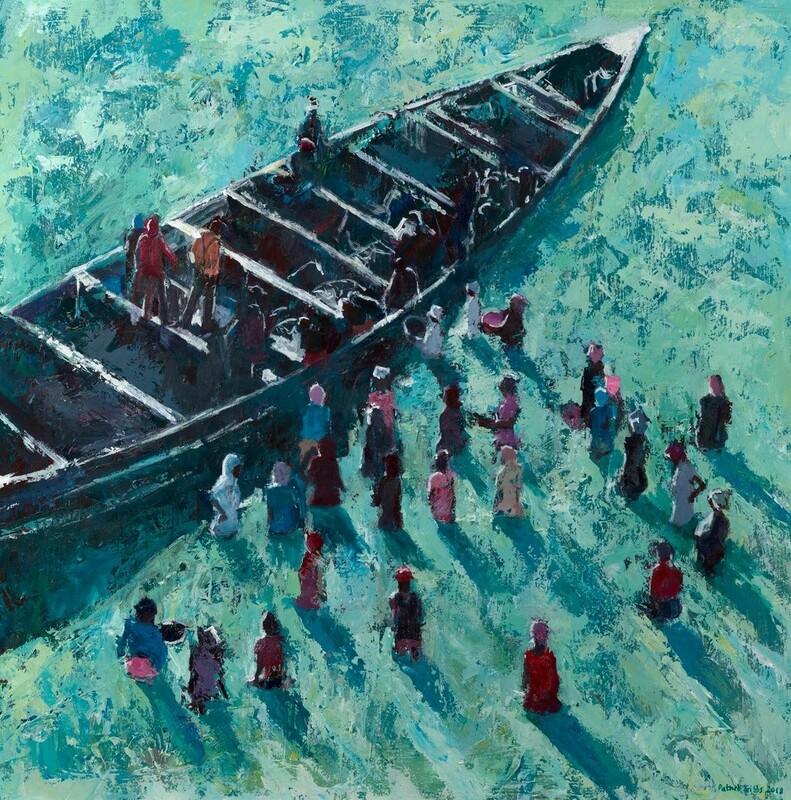 Gerald in a bid to lift our spirits has chosen paintings of far away places such as Tanjl in Gambia and Hoi An, in Vietnam, both by Patrick Gibbs, . 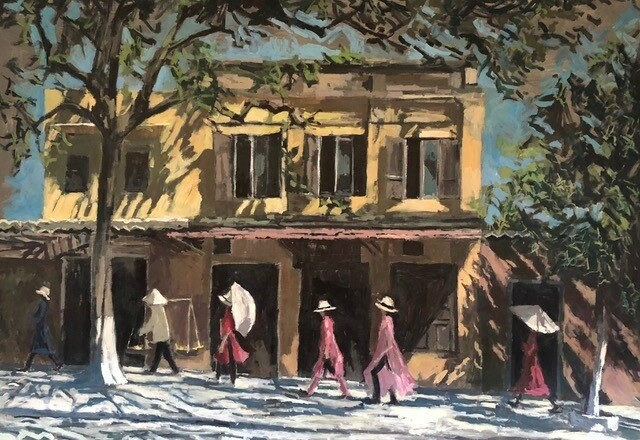 These Patrick Gibbs paintings, whose simplistic depictions of local life in exotic places invoke a feeling of warmth and well being, with his vibrant whites that pop and wonderful turquoise hues. In between showers come and see these charming works for yourself.